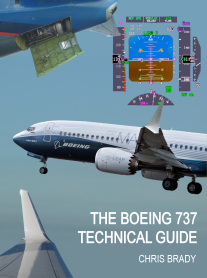 This section contains over 800 multiple choice 737 systems questions. The quiz is based upon the 737NG but covers all generations. If I have not specified in the question which series of 737, then you can assume that it is applicable for all series. I have tried to specify the series when there is a difference. There will inevitably be some errors, or at the very least some grey areas. Please email me with any corrections (preferably with a reference) and I can upload the corrected version. When you have worked through these, you can try your hand at a typical type rating exam paper here.